How I got my job: Michael Caton once delivered furniture in New Jersey but now runs a team that provides workspaces for startups and small businesses at WeWork in New York. He told Dezeen Jobs how he got there. Dezeen Jobs: Where and what did you study? Michael Caton: I studied architecture at Pratt Institute in Brooklyn, New York. Dezeen Jobs: What has been your most unusual job? Michael Caton: When I was a teenager, my stepfather delivered furniture for a high-end furniture company. On Saturdays I would work with him and his partner delivering furniture in the tri-state area and sometimes as far as Pennsylvania. We'd wake up at 4:30 in the morning and drive to the furniture warehouse in New Jersey to load up the truck for the day. In retrospect, loading the truck was a delicate design exercise – what is coming out when, manoeuvrability, protective padding, etc. Dezeen Jobs: What is your most memorable career highlight? Michael Caton: High on my list is a project I worked on with Ennead Lab/Ennead Architects in collaboration with the United Nations High Commissioner for Refugees (UNHCR) and Stanford University's Center for International Security and Cooperation. Together we were working on developing a new framework for integrating information, design, technical tools and the expertise of multiple disciplines and stakeholders to better plan refugee settlements. This was a global collaboration, but I vividly recall the first workshop we held together with the full team in-person. UNHCR planners recounted stories of the awe-inspiring ingenuity of Syrian refugees in settlements in Jordan and elsewhere, and the speed of settlement planning and construction in parts of Central Africa – initiated sometimes after thousands of people have already been displaced and were already en route to a non-existent settlement. We worked together intensely to advance concepts and solutions, synthesising feedback from the broad cross section of expertise present. During the workshop I felt like I was working in the presence of real-life superheroes – the Avengers and Justice League personified in a team that contends with global challenges daily of a scale that I could scarcely comprehend. The memory of this experience has been a personal wellspring of inspiration for what is possible. Dezeen Jobs: How did you get to where you are now? Michael Caton: My professional path has been a whirly, circuitous one. I've worked for upstart practices, small and large firms, I did a brief stint at a starchitect practice. I've taught at several schools of architecture. 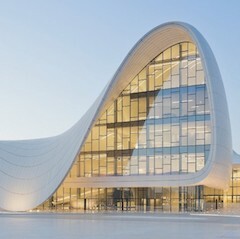 I've practiced architecture in the UAE, Switzerland and New York. During my time in the UAE, I had the experience of being employed in the morning, unemployed by lunch, then self-employed before midnight – all in a single day. WeWork was pretty far off of my radar when I joined. The chain of events that brought me to WeWork started with a joke over lunch. At the time, a former colleague had recently joined WeWork and we got together to catch up. 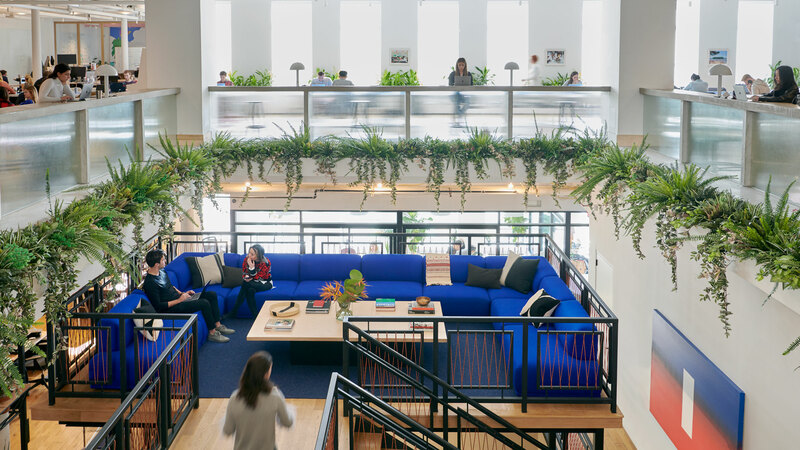 We spoke about how WeWork is trying to redefine the design and delivery of space, the intersection of experience, technology and collaborative models. It was all super exciting. I was glad to learn that there was a company pushing these things, and felt strongly that there should be more firms doing so - but it didn't occur to me to work there. To illustrate how fast the pace and growth had been since he started, my friend made the joke that if he told Powered by We's head of design that he could meet me tomorrow, he would ask me to show up in four hours. It was funny but when the laughter stopped I said, well, I'm always open to a conversation. Twenty four hours later I was sitting across from Powered by We's head of design in a lounge at WeWork's New York headquarters. We had this sprawling conversation that was just as, if not more, circuitous than my path as I described it earlier. What struck me when I walked away from that conversation was that never in my career had I been so completely and openly myself in a business context. Today being at WeWork, I recognise that the keen sense of authenticity that I felt actually permeates the entire organisation. Dezeen Jobs: Describe your job. Michael Caton: I manage the architecture discipline in WeWork's Powered by We (PxWe) business line. 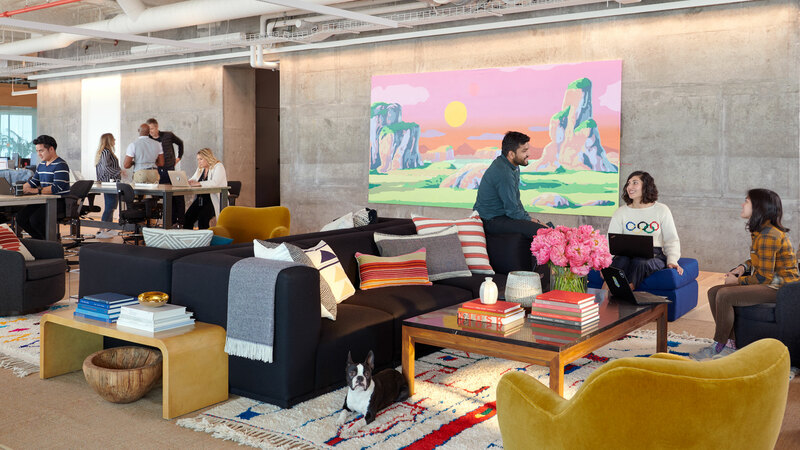 Our team brings what WeWork has achieved for itself, creating vibrant workplace communities, and brings that to large companies in their spaces. Architects on our team deliver projects as part of a fully integrated team of strategy, AEC [architecture, engineering and construction] and operations professionals. A significant part of my role involves strategically advancing what it means to practice architecture in our integrated team environment. I believe that this environment should evolve the architectural DNA of our team so-to-speak in ways that simply aren't possible in traditional practice. I am also responsible for recruitment, staffing teams, and mentoring architects and designers. Dezeen Jobs: What skills are most useful at WeWork? Michael Caton: Adaptability, resourcefulness, and a drive to find a better way of doing things. Dezeen Jobs: How would you describe the work culture at WeWork? Michael Caton: We strive to cultivate a culture of accountability, agency and transparency. We're a mission-driven organisation with a very clear understanding of the values we cherish and seek to embody in all that we do. We're inspired, tenacious, entrepreneurial, grateful, authentic and together. These values and our mission are part of a shared consciousness that is a guiding light for empowering employees across all levels of the organisation. Employees are empowered to challenge themselves and each other in creating evermore effective products, processes, and experiences. Dezeen Jobs: What challenges do you face when recruiting? Michael Caton: The biggest challenge is finding people with experiences and perspectives that are conducive to pioneering a new model of practice. Talent is not enough. Dezeen Jobs: What do you enjoy most about your job? Michael Caton: The people, by far. The caliber of the professionals I have the privilege of working with astounds me every day. Whether it is in design and development, research, community, operations, or any other department in the organisation, WeWork attracts people who are driven to make a tangible, positive impact on the world, and are daring enough to upend existing models and do the extraordinarily hard work of defining new ones – all with a seemingly bottomless spirit of generosity. Dezeen Jobs: Tell us something about WeWork we wouldn't know. Michael Caton: We invest a huge amount of time and energy in the growth and development of every employee. In my past professional experiences I was lucky if I had an annual performance review. As a manager at WeWork I meet with everyone on my team individually on a bi-weekly basis. We talk about how things are going on their projects, their professional growth, any blockers I can help remove and/or areas I can coach them in, and hold one another accountable for continued progress on jointly established goals. I don't know how common this is in the tech world but in architecture it's unheard of. Our commitment to professional development is universally appreciated amongst our architects and designers. Dezeen Jobs: What advice would you give your younger self starting off in your career? Michael Caton: I would encourage my younger self to think more about the skills that I am building in the broader context of the abilities that they enable. There is stupefying panoply of software and technological platforms that help in the design process. Younger architects and designers are susceptible to focusing too much on developing their skills vis-a-vis tools. While it may not feel like it at the time of learning, these are the easiest things to learn and most subject to obsolescence over time. Parametric modelling in grasshopper is a useful skill, however systems thinking as an ability enabled through parametric modelling and other endeavours has a more lasting impact on one's strengths as a professional.